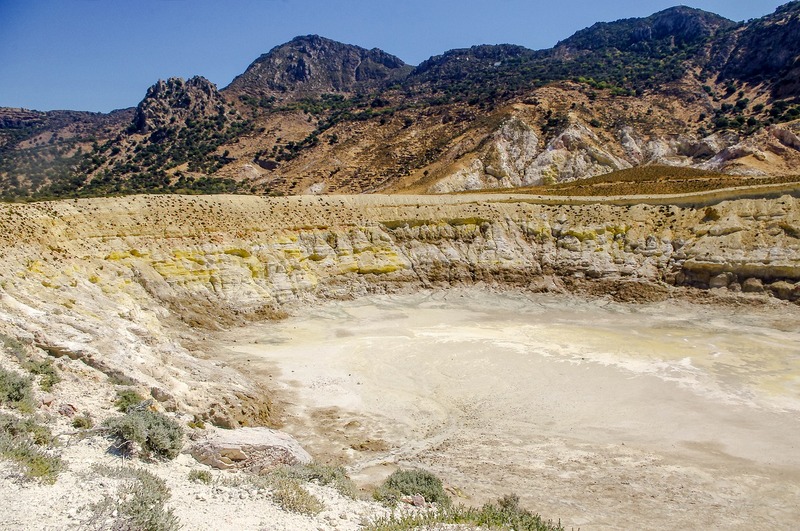 Nisyros is a unique volcanic island in the Dodecanese, and easily reached on day trips from Kos Town and Kardamena. 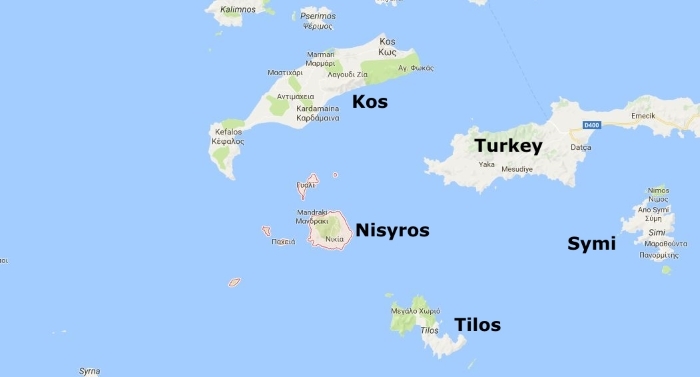 Nisyros lies about half-way between Kos and Tilos, west of the Turkish coast. It draws curious visitors in their hundreds every day during the summer because of its one remarkable feature. This circular island centres on an active volcano – but don't worry, it isn't in an eruptive phase these days. 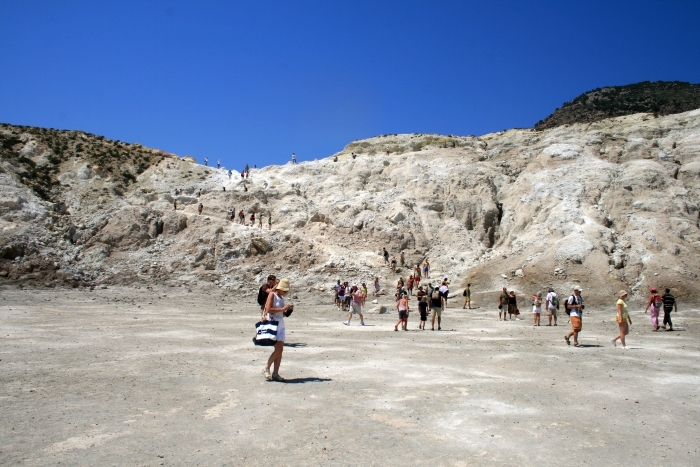 You'll find out how active it is when you go up to it and then walk down into the caldera, which is almost two miles (3 km) across. The ground is a mix of green, yellow and gold, with jets of steam escaping from under it, and a sulphurous smell. In the summer months on a hot day with the sun burning down it is quite an experience. Most people who visit the island do so on an organised day trip from Kos, and these leave from Kos Town and from the resort of Kardamena. 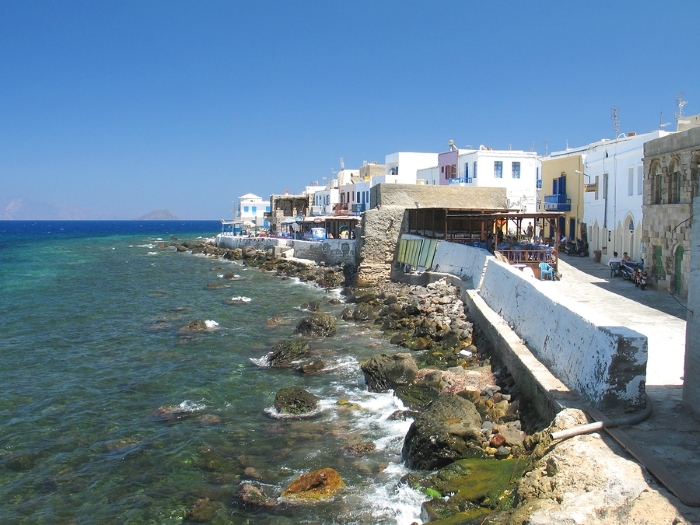 They take you to the port of Nisyros, Mandraki, from where a bus takes you up to the volcano and brings you back to the boat. 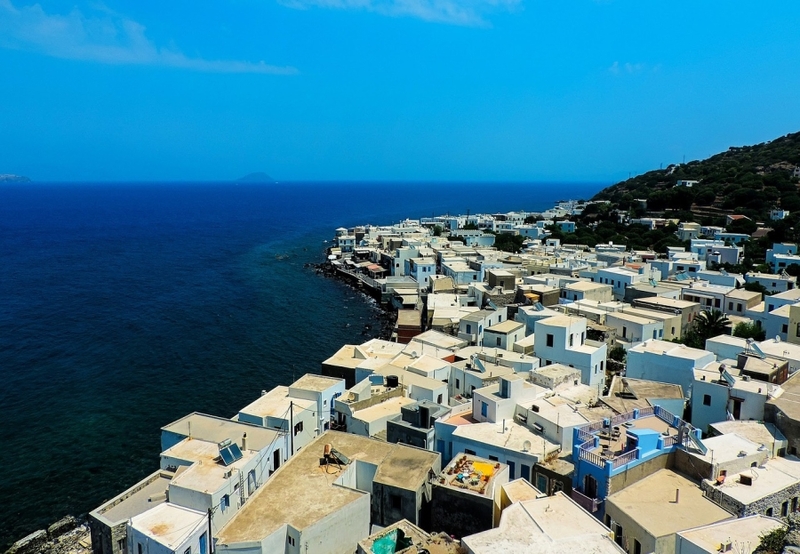 There are also regular ferry services which call in at Nisyros on a route from Rhodes to Piraeus, so you can get there from other islands on the route including Tilos, Kos and Kalymnos. 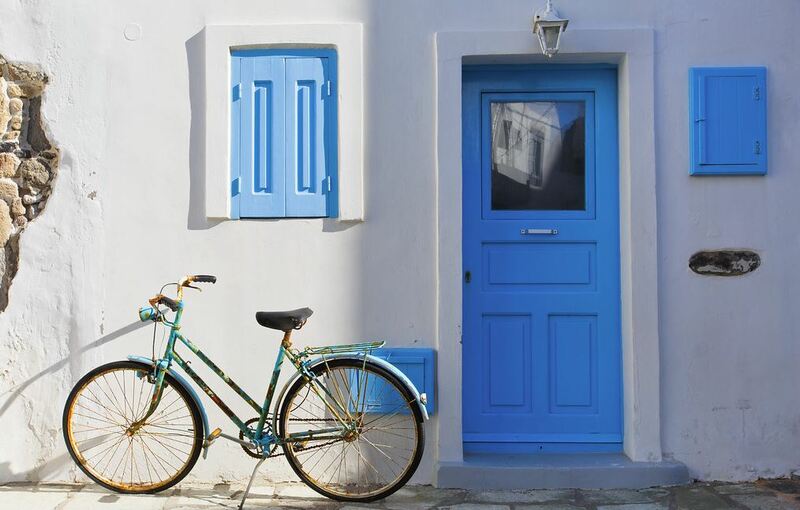 If your only opportunity to go to Nisyros is on a day trip from Kos then you shouldn't miss the opportunity, but our advice is to try to stay on Nisyros for a night or two at least, to get a proper feel for the island. It's only a small place, with a population of about 1,000 or so, and it has a lot of charm which you don't always appreciate when in the company of lots of other tourists. The port of Mandraki is a pleasant place to be based, with hotels and restaurants, and convenient for you to catch a bus up to the volcano and maybe stay longer than the 40 minutes or so you get on a day trip. It's such an amazing place, you really want to linger. 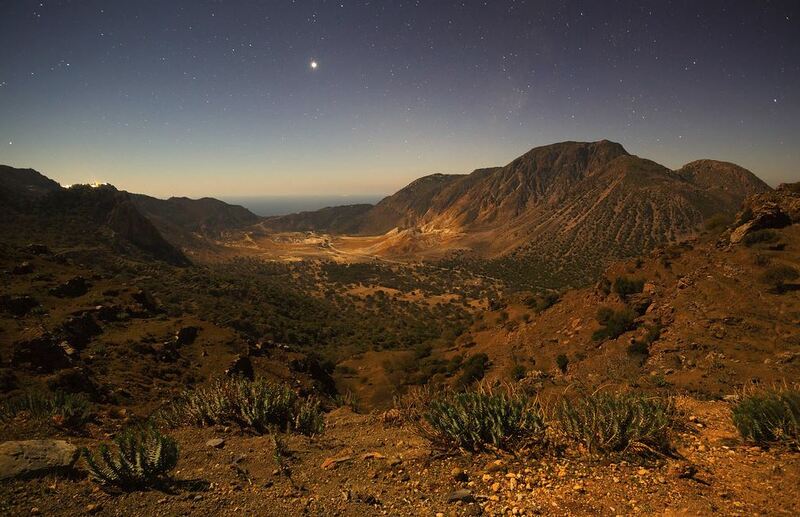 If you spend a few days on Nisyros you could include a night in the hill villages of Emborios or Nikia, from both of which you get great views of the volcano, and you can visit it before or after the day's crowds for a more personal experience. There's a delightful place to stay in Emborios, Melanopetra, and a choice of eating places. Nikia has a Volcanological Museum, where you can learn more about the formation of the volcano and of the island. Nisyros does have a few beaches but they're not great, given that most of the island is volcanic rock. One beach you might want to try is at Lies, where parts of it are of black sand. Lies is about halfway down the east coast of the island, where the coast road ends, and if you want to visit you could stay in the little harbour town of Pali, on the north coast and about an hour's walk or a 10-minute drive from Lies. From Lies a rough road leads up to the Monastery of Panagia Kera, a tough but worthwhile hour's walk away. If you stay in Nikia and walk to the volcano you can divert to see another monastery, that of St John the Theologian (Agiou Ioanni Theologou). One of the most spectacular monastery settings, though, is that of the Monastery of the Virgin of the Cave (Moni Panagias Spilianis). This dates from the 14th century and stands on a cliff above Mandraki, with amazing views. There are several things to do and see in and around Mandraki. In addition to the monastery just mentioned, the ruins of an old acropolis stand above the town, and on the way to the monastery is a small Folklore Museum. 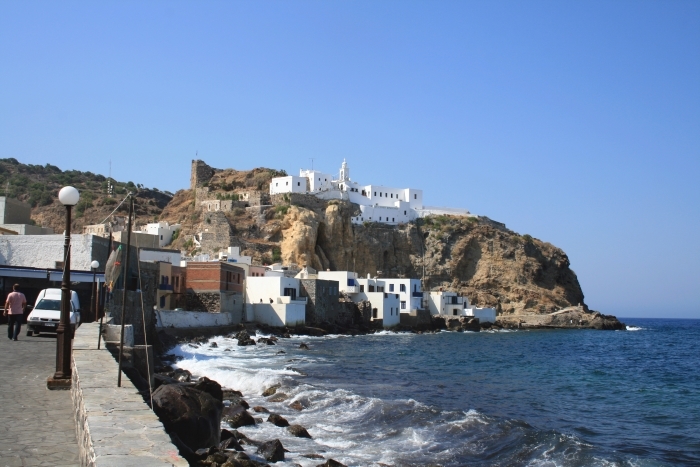 Below the monastery by the sea is an Ecclesiastical Museum, and the town also has an Archaeological Museum. It's quite impressive for such a small place – and of course a day trip allows very little time to have a chance of seeing all these.